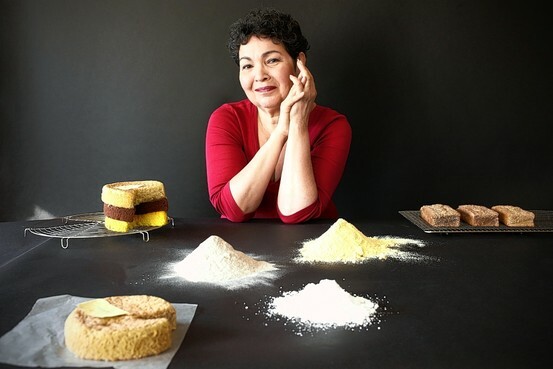 Alice Medrich, who introduced the chocolate truffle to an eager America many years ago, wrote a stunning cookbook that introduces a variety of innovations to traditional baking: all the recipes in her book, Flavor Flours (Artisan Books, Nov. 2014), utilize non-wheat flours. Rather than using these other uniquely flavorful flours as “wheat substitutes,” Medrich turns the tradition of what constitutes “gluten-free” baking upside down. As she demonstrates in the book, you can turn almost anything into a flour. Figuring out how best to complement the flavors of rice, chestnut, or buckwheat flours— to name just a few—became the inspiration behind this comprehensive book full of surprising options folded into its 135 recipes. 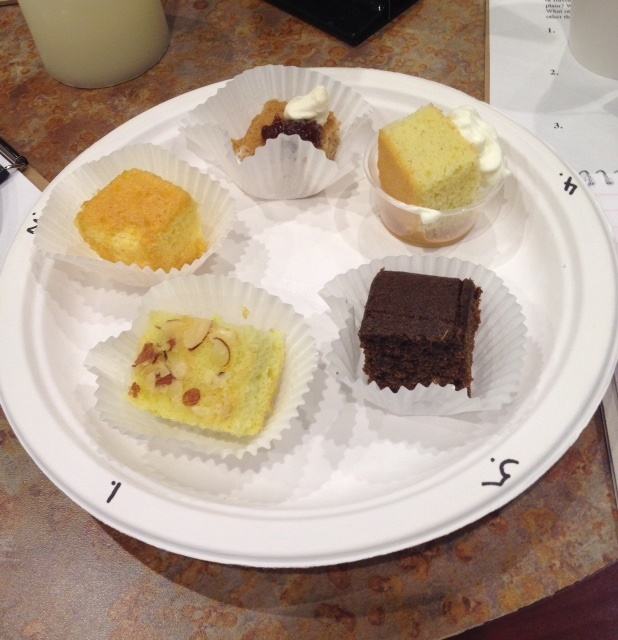 A few weeks ago, at the “Uncharted Festival of Ideas” held in Berkeley, Alice was on hand to allow a curious few to do a blind taste test of some of her cakes. We were handed plates with five samples to try. It was an opportunity I wasn’t about to miss, having visually devoured the book beforehand. We had a clue as to which flours she’d used in the sample cakes: five little cups containing small amounts of mystery flour were on display nearby. The easiest one to spot was corn flour because of its telltale golden color. But the rest of them were harder to figure out. We’d have to use our other senses to make a guess. The lucky cake tasters were given the opportunity to sample in order: White rice genoise with extra virgin olive oil (using white rice exclusively); lemon and corn flour chiffon cake (made with corn and white rice flour); chestnut sponge cake with fig preserves (made with chestnut flour exclusively); brown rice sponge cake with three milks (made with brown rice flour exclusively); and a buckwheat gingerbread (with buckwheat and brown rice flour). We took our time to savor each sample and test our taste buds. 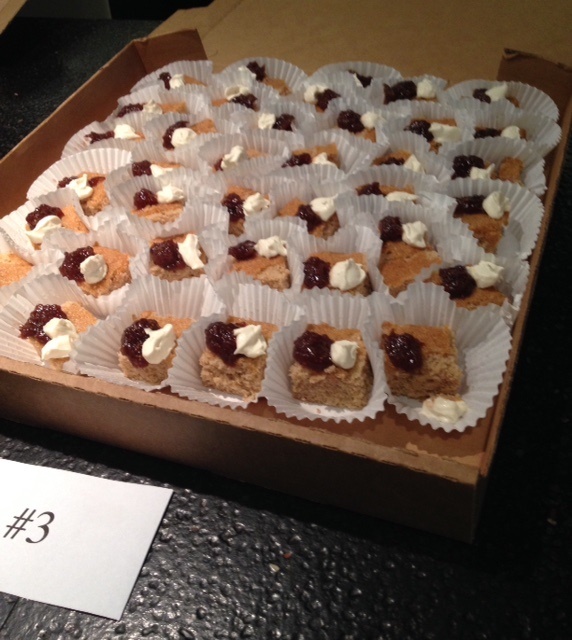 Each cake had its own character, owing to both the flour used, and the addition of toppings—sliced almonds, a dollop of whipped cream and fig preserves, lemon zest, etc. But the important thing to notice had to do with the difference in texture and the subtle flavors of chestnut, corn, rice or buckwheat. After trying these cakes, it became clear that there is an exciting world beyond wheat when it comes to baking. The beauty of Flavor Flours (beside the stunning photography) is that it opens up the possibilities for home bakers who wish to experiment, not necessarily due to any gluten-related issues—although, for folks who need to be on a gluten-free regimen and love baked goods that truly taste good, this book is heaven sent. Think pancakes, waffles, biscuits and crepes: all can be transformed by the creative use of non-wheat flours. (Brownies too? Yes, brownies too.) The chapters are dedicated to these flour options: rice, oat, corn flour and corn meal, buckwheat, chestnut, teff, sorghum, nut and coconut, with notes about the best flavor affinities for each. The James Beard Foundation honored the book and Medrich with the award for Best Book of the Year in the Baking and Dessert category. In addition to the recipes in the book, Medrich includes vital information about where to buy and how to store these flours. She also had to devise some new techniques for her recipes, and shares these with readers as well. If you ever questioned whether it’s better to measure or weigh your baking ingredients, Medrich will set you straight. Get yourself a scale and never fear: your results will not vary. Just in time for the holiday baking season, when our kitchens are usually filled with the sweet smells of gingerbread and all kinds of cookies, we are pleased to be able to share a few of Alice Medrich’s Flavor Flours recipes here. But this is just a sample of the riches displayed in Flavor Flours. You’ll find everything from corn fritters to a chestnut Bûche de Noël; from a coconut key lime tart to peanut crunch brownies. Embrace the difference of these delicacies, and discover a world beyond wheat. Visit Alice’s web site for more. 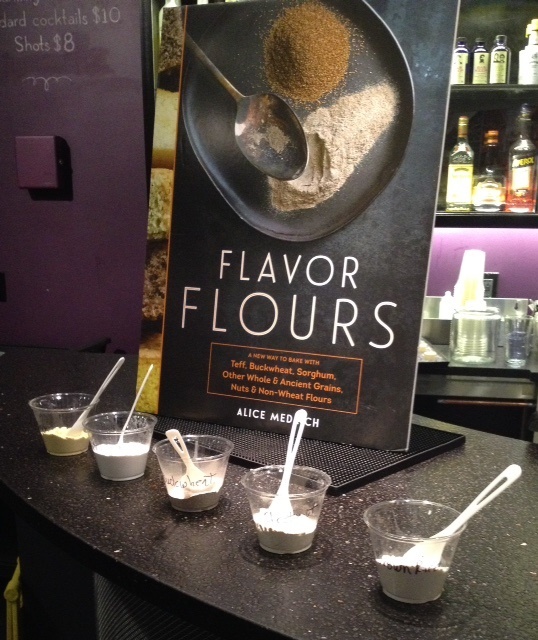 Alice Medrich’s Flavor Flours and other books are available at your local book store or through our affiliate programs with IndieBound and Amazon. Alice Medrich lecture at the San Francisco Public Library, October 13, 2015. 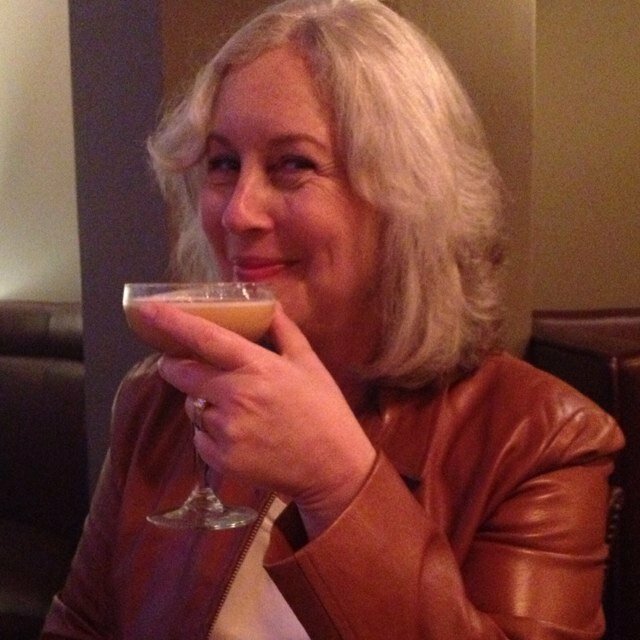 This entry was posted in Columnists, Eat, Eat: Book Reviews and tagged Alice Medrich, Eat, Flavor Flours, Risa Nye, wheat alternatives. Bookmark the permalink.